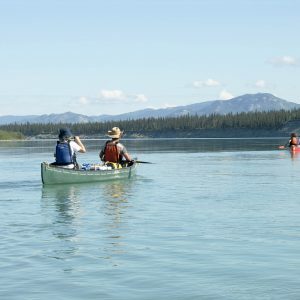 Imagine yourself where only few people go, where the scenery leads into the remote northern wilderness and where you can prove your canoe skills on one of Yukon’s most exciting rivers - imagine yourself on the Yukon’s Hess River. 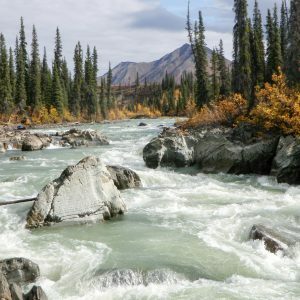 Far from the Yukon’s last outpost of civilization and surrounded by some of the highest mountains of the region, the challenging Hess River will sweep you far away from everything and closer to yourself. 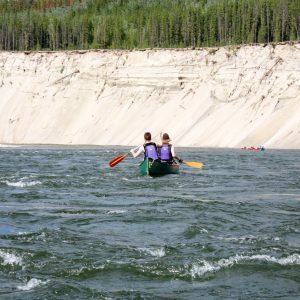 We will start the tour with a day of practice and training on the Wheaton River near Whitehorse where everyone can “dust-off” and set their mind on the exciting days lying ahead. From Mayo we’ll fly by floatplane to Keele Lake, located on the slopes of the impressive Keele Mountain and part of the glaciated Selwyn Mountains (second highest range in the Yukon). The glaciated Keele Peak crowns the mountainous horizon with its knife edged ridges. Lichen, willow and shrub birch dominate elevations above the tree line where mountain caribou call home. The river valley is rich with moose, lynx, marten and beaver habitat. From the put-in the Hess River sparkles with whitewater almost the entire way down. This region is the traditional territory of the Kaska Dena and Nacho N’y’ak Dun First Nations. Just above Keele Creek, the river gains volume and gradient as it plunges into a continuous stretch of challenging whitewater. Great hiking possibilities abound in the Rogue Range where rugged, glaciated peaks give spectacular views before the Hess River leaves the mountains and enters the North Yukon Plateau. This section also features some great rapids and beautiful canyons. The current is very good all the way to the Stewart River, at which point it slows down. The trip ends at Mayo from where we drive back to Whitehorse and stay for 2 nights at a Hotel to enjoy the local history and culture, good cuisine and shopping. Arrive Whitehorse where you’ll meet your fellow roup members. 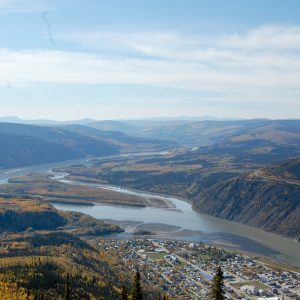 You’ll have the opportunity to discover the famous capital of the Yukon, and your stops should include the SS Klondike, one of the last Yukon sternwheelers still around, and the McBride Museum of the Yukon. Overnight in a hotel. Today will be spent getting used to your equipment and paddle partner. We’ll spend the day on the Wheaton River* to familiarize ourselves with the waters we will encounter on the Hess River. (* if water level permits; or alternative river) Overnight in a hotel. In the morning we will drive from Whitehorse to Mayo from where a floatplane will bring us to the start of our expedition at Keele Lake. Today we’ll start out at Keele Creek and paddle towards Hess River with quite a bit of lining involved. The Hess River demands the best from us today in a relatively small river bed and canyon. Another day of breathtaking scenery while paddling along well-forested slopes. Watch out for wildlife like beaver or marten, as they are known to inhabit the surrounding wilderness. After the first days of excitement on the river, today is a mix of occasional whitewater and easy floating before we reach Emerald Creek. Once we’ve passed Emerald Canyon the river gets wider along a series of gentle-rolling hills and slows down a bit. Today we can take time to relax while paddling this calmer section of the river. Today will be one of the trip highlights; we’ll paddle through Hess Canyon today. Exiting and fun whitewater will keep us busy for most of the day. Today offers a chance to relax and reflect on all the great experiences you’ve had so far on this trip as we’ll take a rest day and possibly go on a hike if time permits. We’ll start out on almost flat water until we get to the Metusa rapids. 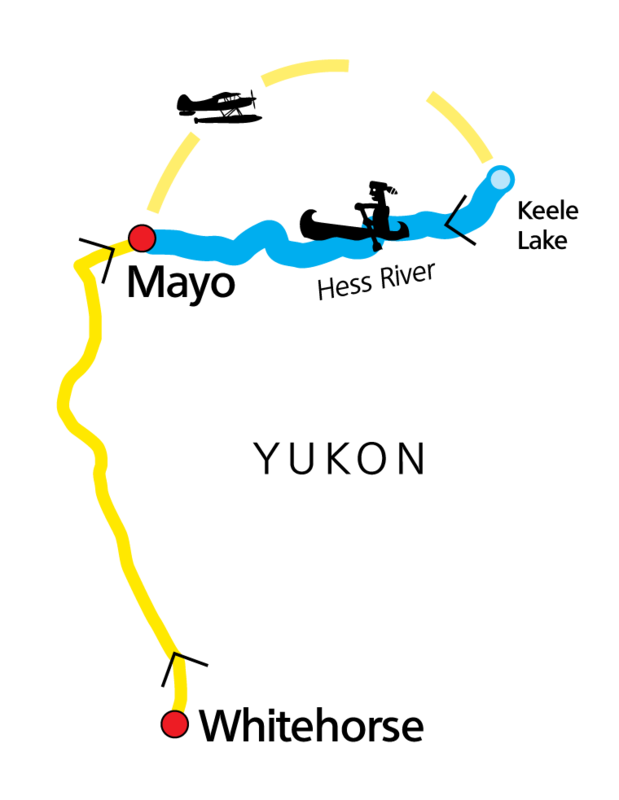 We’ll use the portage around the rapids and run the lower rapids. This is another day to enjoy the solitude of the North while paddling in the great outdoors. This challenging stretch of the river shows us every day astonishing views of untouched wilderness. The Two Mile Canyon will lead us through another section of class 2 whitewater. Today we might have time to do some fishing as we enter the Stewart River. With a wider river bed the Stewart presents more stunning Yukon scenery consisting of open skys and rolling hills. This the last day of challenging and rewarding adventure on this tour. After we pass through the 5-Mile Rapid and 3-Mile Rapid (both class 2-3) we’ll portage around Fraser Falls and camp at the bottom of the falls. Today’s paddle offers a chance to relax and reflect on our accomplishments as we make our way on the last leg of this trip. The river journey ends at Mayo after half a day of paddling. We’ll drive back to Whitehorse. Overnight in a hotel. This morning you’ll have time to explore the capital of the Yukon, Whitehorse. Maybe you want to do some shopping or simply enjoy the many attractions this city has to offer. In the afternoon we’ll visit Takhini Hot Springs to relax in the soothing warm water under the wide open skies of the Yukon. Overnight in a hotel.